Allow me to tell you a story of the first and last time I explored MYOB's “online” accounting solutions. A new client had just come on board using AccountRight Live which has just upgraded to from Essentials, so I went to myob.com.au on my MacBook to log in. I was looking forward to getting up to speed on AccountRight Live and proving to those people who said MYOB is being left behind wrong. 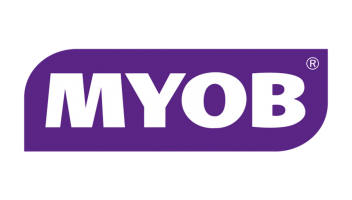 MYOB was the largest accounting software provider in Australia and the merits of Cloud Computing were obvious so they surely couldn't be that bad --I thought. When I clicked on the log-in button however, I was given 7 product log-in options, none being AccountRight Live. Confused, I spent some time navigating their home page only to realise that I would have to figure out which AccountRight Live software package to download in orderto actually use the file. Reason 1: AccountRight Live -- an "Online Solution" by definition should not require a download. Fair enough I thought. If I have to download something I will. Noticing the “Need Software for a Mac, Find out more about AccountEdge" line, I clicked through to be greeted with the cheery message that I would have to pay $1,099 for the privilege of using this "online solution" on my Mac. Still working off the presumption that this was a cloud accounting package, I thought, ”This can’t be right, I am missing something here.” So I eagerly headed to the Help section of the site in search of the FAQs. 30 minutes later, deep in post after post on the detailed MYOB community, I was no better off so I gave up and reached for the phone for someone to talk to. After another 30 minutes navigating an automated answering machine and being on hold, I finally got through to someone. Reason 2: I am not willing to spend this sort of time waiting to talk to someone about an issue. Prompt Accessibility is a must and it is standard with Xero and Quickbooks online in my experience. To my amazement not only was I was told that I would indeed have to download software to use AccountRight Live, but I wasn’t going to be able to access the file on my Mac anyway, as this file would only work on Windows machines. Reason 3: A software company that doesn't allow your files to be accessed by its own software on different operating system is crazy. I was not pleased. I had to take 2 hours out of an already busy day to find out that not only did you have to download software to use their ‘online solution’, I actually couldn’t ever access my clients file because I used an Apple MacBook. Common sense would tell you that MYOB cannot hope to continue in this vein if they want to seriously compete with the other cloud accounting players. So I have to believe that they will improve, if haven’t already. However, the ball is definitely in their court, as I won’t be spending any more of my time finding out. P.S. I refuse to believe that I really can’t use an Account Right Live file on my Macbook via AccountEdge (it’s essentially the same software made by the same company! ), so if the support person was wrong about this, or I got the wrong impression, please do let me know. Every now and then we see a technology that sweeps the market off its feet while rendering the previous technology almost obsolete. This kind of a technology that induces drastic change is known as disruptive technology or disruptive innovation. Xero cloud accounting bookkeeping technology is one such option before you today. Let’s demonstrate how. But first let’s discuss a bit more about disruptive technology and how it has left big names behind for ignoring certain basic facts. Cloud as a Disruptive Technology Now, think of your old accounting methods. Aren’t these obsolete now? If you are working with standalone software that takes care of your accounting and bookkeeping still, it is time to rethink your methods. The accounting tools available in cloud software like Xero today do much more than accounting and bookkeeping. 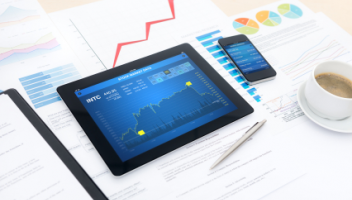 They take a step further and act as analytical tools to keep you in sync with your market. Read on, and you will get more clarity of this idea. Listen to Your Customers but Also Look Beyond Them Most of the disruptive technologies have come into effect mainly because the existing giants of the industry have turned a blind eye to the obvious. While they have catered to their existing customers, they have failed to understand the aspirations of a larger market. This can be best understood by taking the case of IBM which was swept away by disruptive innovation. IBM’s Story IBM which was once the giant in the computer industry is just among many players today. This decline was actually lurking around the corner but IBM had just not recognized it. In its hay days, IBM was catering to its existing market of mainframe computers that consisted of government and other large organizations. While they listened to these existing customers and brought in sweeping innovations to make the mainframe computers more effective, they had completely failed to take notice of a segment of the market that demanded simpler and less expensive alternatives. This need was eventually realized by others who started working on minicomputers. These affordable and efficient machines eventually took over the entire market compelling IBM to follow the path. But by the time IBM realized this, it was much too late. The Lessons from IBM’s Mistakes It is important to listen to the needs of a larger market. There is also a need to make things cheaper and handy for the general public. If IBM had a mechanism that could gauge this, it would have definitely innovated itself and been at the forefront of minicomputers. But, the company had chosen to wait until this market was profitable enough and eventually found that they were too late. The question is, “As a business person how do I listen to my market.” The answer is simple. Introduce cloud based technology in your business. If you adopt a technology like Xero accounting and bookkeeping software, you can enable yourself to do this. The fact that Xero records everything from your proposals, sales and even customer profiles makes it an effective tool for analysis. A few simple add-ons to Xero can get you communicating with your market through social media platforms to understand the needs of your market better. This gives you an opportunity to become the industry leader in coming up with a disruptive technology or innovation yourself. Sounds interesting; doesn’t it? Do not make the mistake of waiting like IBM did. Get in sync with your market today with unmatched features that cloud technology offers you. As a virtual assistant I could not operate without the cloud. However at a recent local networking function I was surprised to learn just how many business owners seem to be operating as it was five years ago. Cloud computing is undoubtedly changing the way small businesses operate by increasing productivity, reducing operating costs and allowing any size business to compete on a much bigger scale than ever before and yet, it appears not all SMEs are leveraging the technology. Here are 5 clear signs that you need a virtual makeover – and fast! 1. The only place you can check your emails or documents is in the office The biggest change you can make today for your business is getting hosted or cloud based email and document storage. From as little as $5 per month programs like Google Apps for Business will allow you to securely sync your email/calendar/documents across multiple devices such as your phone, office computer and iPad . So no matter where you or your staff might be, as long as you have an internet connection, you can access the information you need to run your business. Whitsundays anyone? 2. Keeping customer records anywhere other than a CRM Having your customer records sitting in a filing cabinet is losing you money. Using a cloud based CRM program will open up a world of opportunities for communicating, marketing and selling to both new and existing customers. These types of systems are affordable and designed to increase the productivity of your staff and give a clear indication of your sales pipeline, or lack therefore. Popular programs include Zoho, Salesforce, and Capsule. 3. Keeping your accounts in Excel Don’t get me wrong, Excel was a great program for record keeping in the 90’s. These days though, there are many cloud based accounting programs like Xero that for a small monthly fee will save you time, frustration and money. Programs like this will save thousands on accountant fees and help you to improve your cashflow through real time reporting. Imagine reconciling your monthly bank statement in minutes, not hours. Time to say goodbye to the shoebox full of receipts sitting under your desk and embrace cloud based accounting packages. 4. A paper diary still sits in your handbag/briefcase I know, it is like a security blanket that is hard to let go off, but it’s time to cut the cord. Using electronic calendars and to do lists will ensure you stay on top of things anywhere, anytime and means that you will never forget another important business meeting, the kids bake sale at school or your sister’s birthday. It also means that your staff can also keep across your appointments and movements – oh the efficiency! 5. You still regularly buy ink cartridges and have a fax machine in your office Working virtually can basically make your office truly paperless. Just about anything can be done online now including getting your faxes, diminishing the need for ‘hard copies’ saving you space and money on paper, inks, stationary and postage. So whether you have one or all of these elements in your office – now is the time get on the cloud and start reaping the benefits! Thanks to its worldwide adoption within a few short years, cloud computing has succeeded in its role as the next-level of IT Enterprise architecture. But with every cloud storage service offering free storage packages, most of us already have multiple storage accounts. And one of the biggest advantages of the cloud has always been its convenience, when it comes to storing and accessing data. 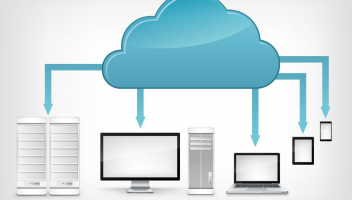 Let’s take a look at some of the ways in which the cloud is changing the way we transmit and sync our data: 1. Signing & Verifying Documents Making legally binding documents and getting them signed in the traditional method of printing and notarising them takes anything from, a few hours to an entire day. But the cloud now allows you to get signed documents that are legally binding, within seconds. Via secure electronic signatures and approvals. Most business cloud services offer the bundled service of document signing and delivery with a server-specified syncing service. There are number of services that allow you to sign and validate official documents, both free and paid. Electronic signatures and validations also allow user to digitize their business, reducing their overall carbon footprint. 2. Online Applications (SaaS) Earlier, users could only work on certain platforms if they were downloaded and installed on specific systems. But thanks to the cloud, users can now access any application they need online, without the need to download any software on to a PC. The best part about cloud-based software is that users can access the platform from anywhere, provided they have the valid login credentials. Online applications also automatically backup your work every 30-45 minutes, so that you have backups to go back to in case something goes wrong. 3. eFax If you’re wondering if there’s something you can do to upgrade your old fax technology, this is it. eFax allows users to outsource the operation and troubleshooting of an aging fax infrastructure, on to a virtual cloud fax service. 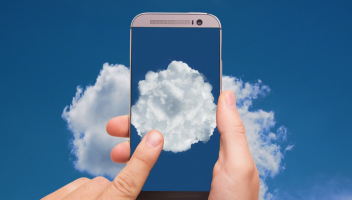 The future of cloud data transmission allows you to integrate your telephone and fax services to the cloud, combining to form a network of telecommunication that keeps you connected to everything and everyone, at all times. And as more people switch to smartphones, tablets and other mobile devices to conduct business, the telecommunications is gearing for virtualization of its services. The technology is nothing new, but will allow users to use multiple platforms to make & receive phone calls or faxes via the internet. 4. Remote File Access Although quite obvious, it is important to how the cloud has changed the face of remote accessibility, giving users access to secured files at any time, and from any device. The cloud not only allows you to transfer files between separate accounts, but it also allows users to simply view and archive what is in their accounts. An added benefit of cloud storage is that there is no need to remember multiple passwords, since everything is accessible via a single login id. Unlike the other cool technology that is still in the conceptual stage, the cloud allows users to migrate their files between platforms, with the intention of giving them the freedom to access remote files from anywhere, and at any time. Final Words As bandwidth and speeds increase and cloud security improves, the cloud will continue to change the IT landscape. But, there is still a lot more one can with the cloud and, in order to streamline operations and profitability. The impact of the cloud on data storage, transmission and syncing, will only increase over time, but the decision to move to it or remain grounded is up to you. I am often asked -private cloud, public cloud or the old Inhouse server room? here is my take. Technology doesn’t generate revenue for most companies. Business processes powered by technology generate revenue and profits. The management of technology has just been a means to enable the operation of business processes. Cloud computing enables companies to make this shift from managing technology to managing business processes. And in the process of making that shift, companies can reduce the fixed cost structure and redirect their money to activities more directly related to generating revenue. Something to bear in mind is that today, corporate IT spends 70 to 80% of their annual budgets on operations and upkeep of in-house server rooms and standard application systems like ERP, CRM And other common packaged applications. With smaller business it is the owner or the most IT literate person in the business that spend the equivalent in time! For the most part these activities don’t provide meaningful differentiation in the marketplace, nor do they provide a competitive advantage. You must remember that cloud providers invest in infrastructure and in automated systems administration capabilities in order to achieve great economies of scale and operating efficiencies. Conversely, in-house IT are always being squeezed to save money and to cut their operations budgets so they are challenged to create economies of scale that cloud providers can achieve. By using cloud technology to provide more of these basic services, carries an opportunity to shift more of their annual IT budget to spending on new systems and capabilities that are more directly related to success and growth of their business. 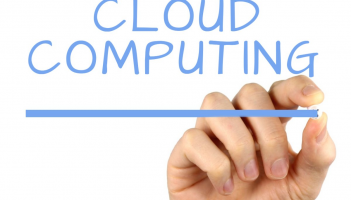 Cloud computing gives companies a way to both reduce costs and improve service. Cloud computing is an opportunity to standardise the basic computing and communications infrastructure a company uses, and the standardisation offers the prospect of getting systems built and into production in a much more agile manner than ever before. And this agile use of IT can be a potent factor in driving business agility. When companies can try out new product ideas and explore new markets without incurring large upfront capital expenses, then many more opportunities open up. For many start-up companies, it makes sense to start immediately with the use of a public cloud or private cloud. By doing this, they avoid the distractions of running commodity computer hardware and software and are able to concentrate on developing the unique value-added product or service that will be the profit generator for their start-up company. For example these start-up companies would subscribe to a accounting, CRM and email from the cloud provider. The real compelling reason to go to a private cloud provider is when their businesses have a unique IT requirement and / or a line of business application for example a warehouse or accounting application. Many industry analysis and for the majority that I have spoken with believe that private clouds ( as opposed to public clouds) will remain attractive to small, medium and even large businesses for the foreseeable future since they can offset concerns about governance, data security, and performance management. Private clouds also offer companies an inviting way to consolidate their server rooms, reduce support costs and increase server utilisation. Typical server utilisation inside corporate data centres or server rooms ranges from as low as 2% up to around 10%. Going to a private cloud can raise these levels to 60% or 70% in saving the company from purchasing a lot of additional servers. In addition, private clouds don’t need to be quite as automated and self serviced as public clouds making them a lot more versatile and customisable to meet individual businesses requirements. Again delivering better value through increase server utilisation and faster user provisioning. Cloud providers allow for both online web request forms and user control panels for provisioning hosting services, but businesses are still wanting to have human interaction between the service provider and their company. Customisation and uniqueness of the individual businesses is what makes them profitable and therefore they do not wish to be boxed into a public cloud offering. Size and standardisation are both necessary to get real economies of scale. public cloud providers generally have this model and are therefore able to offer significant cost savings in other words cheaper prices. They have data centres geographically dispersed around the world and in some cases attenuation / speed issues tend to be less significant on the basic offerings. For these reasons public cloud becomes a competitive advantage over private cloud providers if you do not have a need for a line of business application. I often come across the argument whether to use office 365, Google apps compared to the cost of going into a private cloud. At the end of the day going to a private cloud or a public cloud does give you a competitive advantage for the very reasons stated above. Your choice must be one that is driven by your use of technology, ability to be productive and to be agile not only looking at cost. We often see enormous amount of frustration in the use of public cloud, and this is because of the very nature of their biggest advantage which becomes a disadvantage, to keep costs down you have to work their way and customisation and legacy applications cannot be effectively catered for. ITonCloud is very comfortable working within all these environments as we have recognised that been able to have a holistic approach and to be able to combine the two, we can give customers the speed, security and customisation of the private cloud with most of the cost savings of public cloud offerings. At the end of the day although the cloud is certainly a platform for managing the delivery of computer services, that view is more from the traditional technology orientated prospective. Another way to look at cloud is from the business perspective of companies that use the cloud to support their operations. From their point of view, the greatest benefit they gain from the cloud comes not from cost savings in technology, but from the revenue they earn by being more agile and responsive to changing customer needs, the revenue they generate with faster rollout of new products and services, and successful expansion into new markets. Instant on for new employees no matter where they are in the world making that employee productive immediately. In addition, it's important to remember that companies are much less self-contained and much less vertically integrated than they were 20 years ago. Companies have been steadily outsourcing non-core activities so that they can concentrate their time and money on conducting the value added activities that create the products and service their customers buy from them. As a consequence most companies are dependent on a network of suppliers that provide support and services. And for companies to manage the business processes effectively, they need to find ways to effectively collaborate with their supplier partners and this is why we believe there is a bigger competitive advantage in using private cloud providers over public cloud providers or having your own server room. As I mentioned in one of my first articles the assumption that cloud computing is less secure than other business technologies is not true. Cloud computing’s highest priority is security for all of its users. Security has proven to be the major reason why businesses are hesitant to make a commitment to a cloud migration. There has been a huge shift of focus toward cybersecurity over the past 10 years. With more of our lives becoming internet-centred it is hard to know what is private & secure and what is not. Cloud developers have known the risks from the word go and are constantly working to improve security. These days we hear less security horror stories and more stories about the successes and benefits of cloud computing. I hope that you are learning through this article series that ‘The Cloud’ is not as complicated as you first thought. 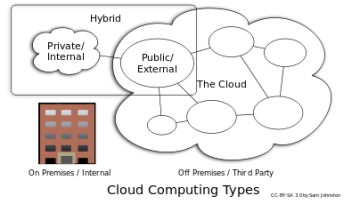 However, one aspect of ‘The Cloud’ that I have not touched on yet is Public, Private and Hybrid cloud models. Heard these terms before? Confused? Let’s break it down: Public Cloud is the most common and many of us use this form of cloud computing every day, many of your apps such as Gmail operate in the Public cloud. It is inexpensive, readily accessible and focuses on providing storage to large numbers of people, in a shared data centres, that can be located anywhere in the world, depending on the service provider. Private Cloud is similar in terms of providing storage, however there is a greater emphasis on security. This means that all your data is hosted on a private network, offering more control with restricted access. Hybrid Cloud is just as the name suggests, a combination of both public cloud methods and private cloud methods. You can categorise your data and determine which cloud option suits it best. 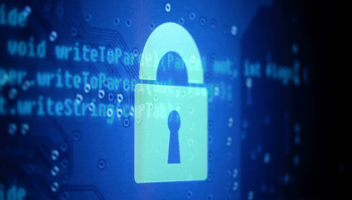 For extremely private files ask your service provider about file encryption. This is the process of converting your important files into code before moving them to the private cloud. In turn making it even more difficult for potential hackers to gain access to your files. This is just a brief overview of each of these models, to learn more I would advise speaking with a licensed cloud servicing provider to help evaluate your organisations specific needs and cloud computing objectives. When shopping for a service provider look for transparency. If you are conversing with an organisation speaking only in vague industry jargon and skimping on the details, then you may be talking to the wrong provider. Here are some questions you should be asking when shopping around for a cloud service provider: Who will have access to my business data? You want minimal involvement when it comes to data access. Of course you want technicians to be able to access your data in emergencies, but that should be the height of involvement. They certainly shouldn’t be giving access to any further parties. Some cloud service providers give you more control over your data than others. This is something to think about especially when securing very private information. Asking this question will also open up a conversation on different cloud models, mentioned previously. The provider should be able to help you determine which model is best for your business. What type of technical support do you offer? Ideally you want to receive 24/7 support, ensuring that you receive emergency support whenever you need it. You will become dependent on this provider, so it is crucial to find a company that cares as much about your data security as you do. Where are the data centres you use? It does depend on the cloud model you choose but, you want something as local as possible. However, having multiple data centres in operation is not such a bad thing. It just means that your data is backed up in more places assisting in with loss prevention. When and how long will a cloud solution take to implement? You want to know exactly when and how long it is going to take for the cloud migration to be completed. Ideally it should not take longer than a few weeks for a basic solution to be fully implemented. This information is vital for planning ahead and anticipating costs. It’s all about taking small steps and sourcing trustworthy information to help you make the right decision for your business. Is Public or Private Cloud Better for Your Business? Key Takeaways If you're thinking of moving your IT setup into the cloud, there's public and private cloud services. Each option has its own advantages and disadvantages and you need to find the right balance for your business. Giants like Google, Amazon and Microsoft dominate the public cloud market, offering lower costs, credibility and authority. Meanwhile, private cloud service providers can offer better customisation, flexibility and often provide protection against malware as part of the package. Cloud computing is fuelling innovation, enabling companies to achieve greater efficiency and productivity that is transforming many industries. As a result, many businesses are investing in cloud IT environments and are moving away from on-premise servers and infrastructure. And like many business owners, you’re probably thinking about how your business could be further leveraging the cloud to increase efficiency and reduce running costs. Having your entire IT environment in the cloud reduces the need to host, update, maintain or backup IT environments. You no longer have to invest in physical servers, expensive hardware and their support costs. But understanding the type of cloud solution that's best for your business can get tricky. There are public, private or hybrid cloud offerings and deciding which one suits your business will depend on the level of resources you have to commit and how you’re planning to utilise the cloud. 1. Public cloud providers Public cloud is the fastest growing cloud segment to date and is dominated by providers such as Amazon, Google and Microsoft. With public cloud, the services provided are standardised and offered to many clients who all share the same infrastructure. Benefits This market is dominated by large established players, providing credibility and authority. Public cloud providers tend to offer advanced technology. Because public cloud has no geographical restrictions, access is easy no matter where you are. Can have lower upfront fees than other cloud solutions. Challenges The larger the portion of your business on public cloud, the more complicated it will be. In most cases you’ll need to have a dedicated cloud expert on staff to manage your IT. Public cloud can also be rigid, automated and impersonal because it offers a standardised service to all users to get economies of scale. Customisation, legacy applications and business applications cannot be effectively or easily catered for. You may run into issues with data sovereignty. If you have data saved in public clouds, your data may be stored on a server in a different country, which is governed by an entirely different set of security and/or privacy regulations. Public cloud providers often don’t offer protection against viruses, ransomware and malware as part of the offering but as an extra, if at all. Plus, in some instances, your data may not be backed up and recoverable if things go wrong. 2. Private cloud providers The biggest misconception about private cloud is that it is hosted in an organisation’s data centre. While this is one definition of private cloud, more and more private cloud providers are offering off-premise solutions. Make sure you ask potential private cloud service providers where your data is hosted. By using a private cloud provider, you also take advantage of shared IT resources across multiple applications and/or locations. Benefits You tend to get more personalised service with private cloud providers, making them more flexible and customisable to meet individual business requirements. There is increased security and you’ll likely have a better idea of where the servers holding your data are located as well as the security measures in place. Private cloud providers usually offer the latest protection against viruses, ransomware and malware, as well as data backup and recovery. Challenges You’ll need to spend some time finding the right provider that will suit your business and ensure your line of business applications are supported. There may be a higher initial outlay than using public cloud services, although in the long term you will find that this balances out and it actually becomes more cost effective. One trap you can potentially fall into is opting for a hosting service rather than a true cloud service. Asking for an upfront fee is a common indicator of hosting services. Generally these are technology services offered to companies that host either your servers or purchases servers for you and run them in another location. Quite often these services are not available directly from the internet. They will need the likes of a VPN or direct line and everything is charged for. If you’re looking at moving more of your business to the cloud this year, there are plenty of options to choose from. By understanding the options available to you, you can make a more informed decision for your business that will hopefully help your business run more efficiently and enable growth.